The NHS and Public Health England publication ‘A Call to Action: Commissioning for Prevention’ was launched in 2013 and provides a case for prevention and framework for local action. It was used as a basis to develop an information paper on commissioning for prevention in adults with a synthesis of national policy and strategies and consideration of the local need in Devon. The intention of the paper was to inform local clinical commissioning groups, the local authority and wider stakeholders when developing commissioning strategies and plans relating to prevention. Traditionally, health and care services are developed with individual treatment and care pathways but increasingly the system will have to adapt to increasing complexity of need. Prevention is important to manage increasing demand and to respond to the changing disease patterns. Due to financial pressures it is also essential to prevent, reduce and delay demand for services. The greatest risk factors contributing to deaths from the major killers are largely preventable. Figure 9.1 shows although smoking prevalence is reducing it remains a major contributor. High blood pressure is also significant and provides an example of where preventive action on an individual level needs to be coupled with early diagnosis through programmes such as the Health Check programme. 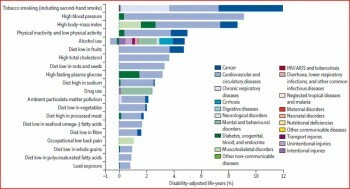 This chapter is themed around these risk factors. Source: Living Well for Longer. National Support for Local Action to Reduce Premature Avoidable Mortality. Department of Health. 2014. 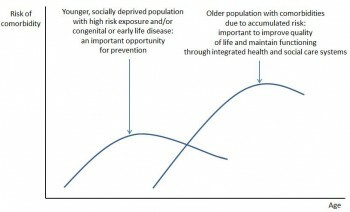 Long-term conditions are the main challenge facing health-care systems worldwide, but health systems are largely configured for individual diseases rather than multi-morbidity, which as life expectancy increases mean more people are living longer with a complex mix of health problems. 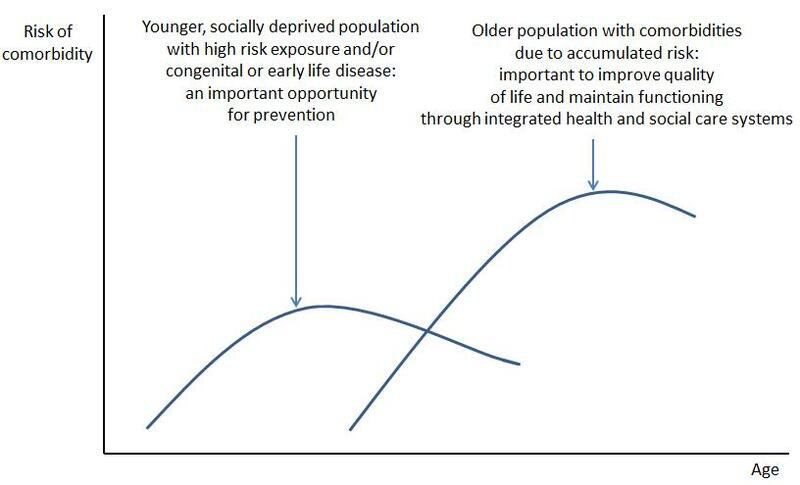 Figure 9.2 demonstrates the main population at risk of comorbidities and further demonstrates the need to address risk at an earlier stage for certain areas and groups. Mental health conditions, social isolation and loneliness further exacerbate complex health problems and have a detrimental effect on quality of life, life expectancy and health outcomes. Source: Living Well for Longer. National Support for Local Action to Reduce Premature Avoidable Mortality. Department of Health. April 2014.